What are the side effects of changing (almost) all catcodes to letter/other? 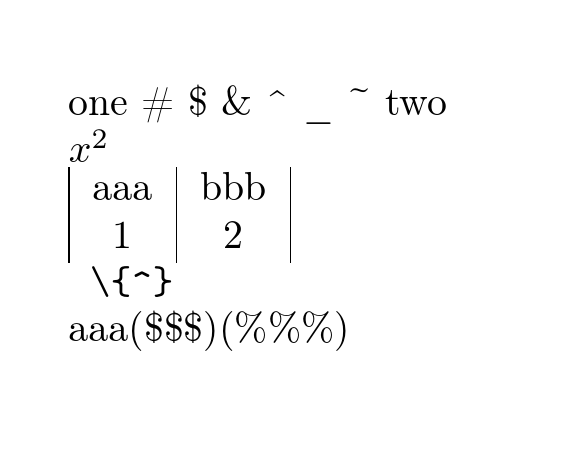 In ConTeXt one can change the catcodes such that (almost) all the special characters print themselves in text mode, while some of them keep their original meaning in math mode (e.g. _ and ^). The corresponding command is \asciimode. My question is, what would be the side effects in standard LaTeX if there was such a thing, or more specifically, are there macros in standard LaTeX which assume a certain catcode regime? This question is partly inspired by Aditya's nice blog post Some thoughts on lowering the learning curve for using TeX. Not the answer you're looking for? Browse other questions tagged context verbatim catcodes learning or ask your own question. What are the advantages of using ConTeXt's XML? What is the purpose of defining font synonyms and how are they accessed? What is the easiest way to modify catcodes in a string?